It's a new year, so what does that mean for you and your home? It means a new beginning. Why not start 2019 off completely fresh? We are talking about taking advantage of a complete kitchen remodel. The experts at Costa Kitchens are here to help you every step of the way to ensure you get the kitchen you have always dreamed of. We specialize in granite kitchen countertops that will knock all the other kitchens out of the neighborhood. This is why we are known for building using the best granite countertops Fort Myers. However, let's take a look at some of the most popular kitchen trends that are hitting home this new year. The Planning Stage As you can imagine, a kitchen remodel ideas can be perplexing as you may not know where to begin, or how to chart the best course of action. So before you set about planning the initial stages of a complete kitchen renovation, it’s essential to know exactly where to start, and how much of a budget you have to work with as a kitchen remodel is a costly investment that can pay off when reselling – if done well. To start, ask yourself what your goals are, what’s missing from your current kitchen design, and what you’d like to see go? For avid cooks, seasoned hosts, and busy families, your kitchen is probably the center of your daily life. 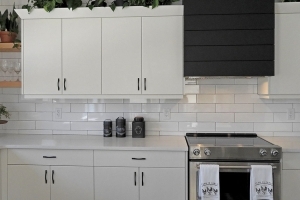 For wisdom on how to master a kitchen remodel, we put together everything you need to know about renovating your kitchen for the ultimate of life-enhancing upgrades, from sourcing the right contractor to choosing backsplash tiles and hardware. We asked our interior design and renovation experts for their takes on the best practices and discovered the best kitchen remodel ideas, and gathered our favorite decor ideas from innovative appliances to budget-friendly islands and charming breakfast nooks. We offer the best granite countertops Fort Myers has to offer. Trends Outside of Granite Kitchen Countertops Here is a list of some things to keep in mind when it comes to trends: White everything is over. Set a moodier tone. Just think of matte everything. Dark kitchens are on the rise. Grid motifs. Implement Moroccan and Spanish tiles. Feel free to mix and match. No more stainless steel Bright stoves and hoods are a plus. Ever heard of hygge? Less is more. Be minimal. Under Counter appliances are also a plus. Implement concrete finishes. Terrazzo surfaces. Make your kitchen a smart kitchen. Add glass shelving Single level islands are the new islands. Deep drawers are key.. Call Us Today Here at Costa Kitchens, we know what the perfect countertops are for your newly renovated kitchen, especially granite kitchen countertops. Stop by and see our wide selection of designs to choose from. We are the best choice when it comes to the latest kitchen designs. We have the best granite countertops Fort Myers has to offer. Call us today, and one of our experts would love the opportunity to give your kitchen the face life it deserves. Select Your Favorite Cabinet Color From Our Classic Prime Series! 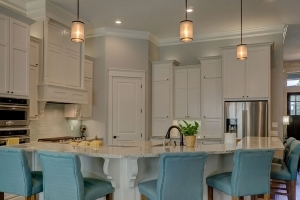 When it comes to cabinets, everybody has their own set of styles and preferences. 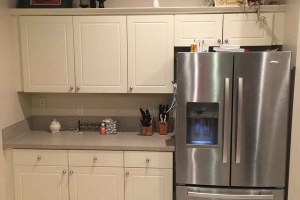 Not only does it have to be functional and be able to store what you need it to store, but also your cabinets need to be the color and style that will stand out and also compliment your kitchen. Aesthetically speaking, there is quite a lot to demand from your cabinets, and we at Costa Kitchens in Fort Myers can deliver. Costa Kitchens offers cabinets for sale in a variety of colors and styles to fit your every need. We at Costa Kitchens provide kitchen cabinets Fort Myers residents love. Call us today for your next kitchen remodel! Classic Prime Cabinets We at Costa Kitchens offer a variety of cabinets, and a cabinet line that is one of our customers’ favorite is our Classic Prime Series. From pecan to mahogany, the Classic Primes series is sure to bring class, refinement, and quality into your home. The Galaxy Linen from our Classic Primes series proffers a soft finish that lends simple elegance and a contemporary feel to your home, creating a polished look. The smooth finishes of the Galaxy linen can create a deep impression through its polished modern flair. This line is an impressive minimalist masterpiece that will hold enduring appeal, much like the other doors in our Classic Prime series. 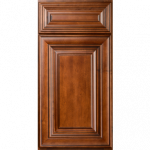 Another featured door in this series is the Fusion Chestnut. Chestnut cabinets remain a highly versatile option that suits almost any design and style of kitchen. 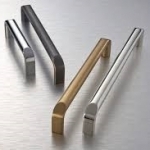 Our transitional Fusion Line stands out from the crowd with its wide rail moldings, classic profiling, and distinctive detailing. This particular detailed styles provides your kitchen with a touch of traditional opulence while staying clean and modern. The door itself is a solid wood, full overlay door with Mortise and Tenon Construction, and frames with a ⅜” MDF Center Panel, and a Soft-Close Mechanism. We Offer Premium Quality Cabinets For Sale Costa Kitchens provides kitchen cabinets Fort Myers residents rave about. One of the top sellers in our Classic Prime Series is the Shaker Dove, and as part of our Shaker line offers a clean style that can create a contemporary vibe for modern kitchen designs. 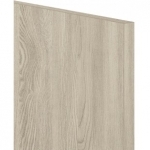 An affordable chic finish is created as the flat recessed panel is framed with sleek lines of the full overlay door. Support is created by the Modern Corbels while the door stays true to the Shaker Dove profile’s contemporary lines. Check out our framed cabinet with full overlay doors and drawers, under-mount full extension soft close drawer glides, and concealed European Style Hinges today! Contact Us Today Your kitchen cabinets are an essential portion of your home, and you will want to pick the right cabinets for your kitchen style and home aesthetic. Costa Kitchens offers kitchen cabinets for sale in a variety of colors and styles to fit every unique kitchen and home design. Our Classic Prime Series of cabinets adds style and elegance to your home while being versatile and of the premium quality. Costa Kitchens is known for providing kitchen cabinets Fort Myers residents can rely on. Call us for your next kitchen remodel! Believe it or not, cabinet refinishing can have a huge impact on the final outlook of your kitchen. Choosing the right cabinet finish for your kitchen cabinets can make or break your fully remodeled kitchen. So naturally, you are going to want to pick the one the ties in well with the rest of your humble abode. 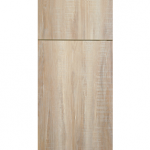 Picking your cabinet finish also involves you determining factors such as construction, style, and accessories. Plus, considering these cabinets will take up the majority of your remodeling budget, you want to ensure that you are going to enjoy staring at these finishes while you remain in your home. Picking out new cabinets should not be a hasty decision. But to help you sort through your options, take a look at Costa Kitchen’s recommendations on how to choose the right material. At Costa Kitchens, we offer premier cabinets and granite countertops in Fort Myers, Florida. Cabinets- Picking Construction and Style Before choosing your finish, you will want to determine construction and style of you cabinets. There are a couple of options when it comes to construction and style. First, decided whether or not you want framed cabinets. Framed cabinets are popular in traditional-style homes. It simply has a frame around the opening where the door attaches to the frame. Frameless cabinets are more of a contemporary style and used to provoke a European-style façade. 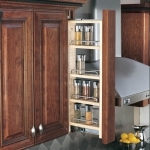 The upside for this type of construction is the easy access to the interior of your cabinet. For style, you can choose from traditional-overlay doors to cover some of the frame or full-overlay doors to cover the entire cabinet frame. For the latter, you will need inset doors to sit inside the cabinet frame. 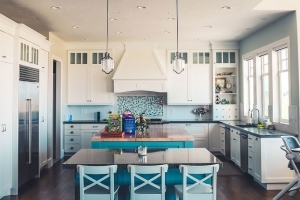 Cabinet Refinishing—The New and Improved If you have decided on a full-fledge remodel of your kitchen, including installing new and improved cabinets, you have some things to consider. Will stock cabinets from Costa Kitchens work? Or do you need a custom design? While stock cabinets are less expensive, custom cabinets give you room to choose materials designs, accessories, and finishes. When it comes to finishes, Costa Kitchens offers a massive selection of styles. We have the Classic Prime, Elite, and Professional Series. Finishing touches are comprised of anything from glossy sand to textured pecan wood grain. Finding the right finish for your cabinets should be based on your personal style, as well as the home’s overall look. 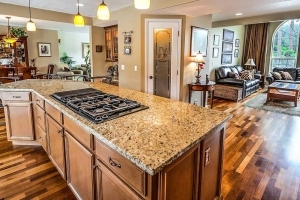 Is your home more modern styled with granite countertops? Is your color-scheme comprised of more whites and blacks or browns and reds? 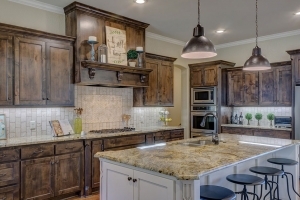 Determining these factors will help you decide on the final outcome of your cabinets. If you design isn’t your forte, Costa Kitchens can offer you suggestion that will go well with you granite countertops in Fort Myers homes. Regardless of the finish you decide on, you should always ensure that your cabinets come with a five-year warranty on the off chance that the finish you pick becomes inflicted accidently or through wear and tear. 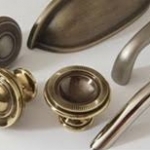 Cabinet Accessories Accessories should be the last thing you consider for your cabinet refinishing. Once you pick the final look, you can add features such as lazy Susans, built-in spice racks, and drawer organizers. To make your cabinets even more efficient, consider adding in tailored pulls, knobs and handles to your cabinets. 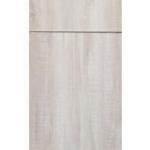 Picking your cabinet finish also involves you determining factors such as construction, style, and accessories. Once you’ve narrowed down this aesthetic, you can finalize your cabinet look with cabinet refinishing. And with a plethora of options such as wood grain and glossy white, it can be hard to choose. At Costa Kitchens, we offer premier cabinets and granite countertops in Fort Myers, Florida. Contact us today! Are you currently planning on completely transforming your kitchen into a place that is elegant and divine? Are you aware of the latest kitchen designs? We are here to help. 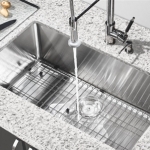 Here at Costa Kitchens, we specialize in countertops and kitchen cabinets Fort Myers. We are sure to aid you in making your kitchen a place that will impress you every time to step inside. Let’s Get Started When you take time and think about it can be a little stressful. Kitchen remodels ideas can be perplexing as you may not know where to begin or even how to chart the best course of action. So before you set about planning the initial stages of a complete kitchen renovation, it’s essential to know exactly where to start, and how much of a budget you have to work with as a kitchen remodel is a costly investment that can pay off when reselling. If it is done well this process will be easier than ever! We can help make that happen. To start, ask yourself what your goals are. What is missing from your current kitchen design? What would you like to see go? What do you use your kitchen for? For avid cooks, at home chefs, seasoned hosts, and busy families, your kitchen is probably the center of your daily life. It is a place where both form and function are of the most importance. For wisdom on how to master a kitchen remodel, we’ve compiled everything you need to know about choosing the perfect countertop for your newly built kitchen. Also, we offer beautiful kitchen cabinets Fort Myers. Latest Kitchen Designs and Countertops As a society, we have seen our fair share of various countertop materials come and go. There always seems to be a new trend. The popularity of brilliant quartz finishes continues to soar insight as it remains one of most frequently requested materials, and for good reason. Besides a great timeless look, quartz is virtually indestructible as it produces a harder surface. 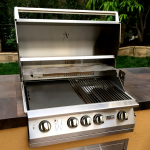 Just be sure to avoid excessive heat as hot pots can damage the material easily. Surprisingly enough, Granite is not as popular as it used to be. But we have no complaints. A mainstay of the 1990’s and early 2000’s, we are happy to report that granite continues to dwindle in popularity as it tends to date kitchen decor while making it appear a tad ordinary. Did you know that granite is super porous and could collect bacteria if not properly taken care of? Who wants a countertop they have to stress over in maintenance? Contact Us Today Here at Costa Kitchens, we know what the perfect countertops are for your newly renovated kitchen. Stop by and see our wide selection of designs to choose from. We are the best choice when it comes to the latest kitchen designs. We have the best kitchen cabinets Fort Myers has to offer. Call us today, and one of our experts would love the opportunity to give your kitchen the face life it deserves. When designing a brand new kitchen, you want to ensure everything is perfect to match your style and taste. Us, at Costa Kitchens, specialize in creating contemporary kitchen cabinets. Our custom cabinets are designed for any space. We are based out of Fort Myers, Florida. Our mission is to provide you with the best cabinets for your home. Contact us today! What We Offer At Costa Kitchens, we firmly believe that beautiful living spaces and higher prices do not need to go hand in hand. We offer the highest quality kitchen cabinets Fort Myers has to offer. 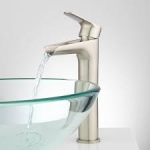 It is this belief that has continued to allow us to provide affordable, elegant, classic and modern kitchen and bath designs. 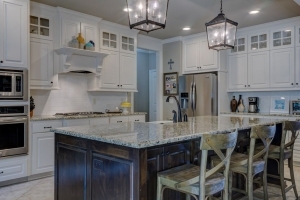 Proudly specializing in both Costa Marble and Granite custom countertops, as well as, handcrafted custom cabinetry, Costa Kitchens allows your dream space to become a reality! Trusted over and over again by clients, we pride ourselves in our ability to provide cost-effective home solutions without compromising the quality of products or the experience. Our eye for detail combined with unique, timeless customization options ensures your experience with Costa Kitchens meets your every need! What are Frameless Contemporary Kitchen Cabinets? When choosing new cabinets for your upgraded kitchen, one of the first choices you face is between framed cabinets and frameless cabinets. Luckily, our company has the most elegant kitchen cabinets Fort Myers has to offer. Cabinets in a home are one of the primary focuses on your kitchen, so it is essential to ensure they are the most critical feature. Framed cabinets were once the most popular style of cabinet in the U.S., but recent years have seen frameless cabinets gradually emerge as the more popular choice. 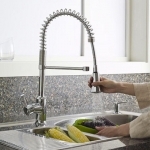 They make your kitchen feel elegant, yet modern. Frameless cabinetry is also called "full access" cabinetry because it offers more accessibility by eliminating the frame. Instead, it relies on bigger box construction for support. Only full overlay doors can be used, with hinges attached directly to the sides of the cabinet box. 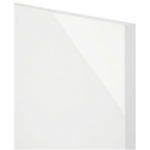 First popular in Europe, frameless cabinets are on the contemporary side. Out with the old, and in with the new. Some other features include, they have more storage space, and the shelves are easier to mount, which make assembly relatively easy. A Word From Tom Costa, Our Creator “This unwavering commitment reaches across everything we do, from the materials we use to the products we sell, and the service we provide. At Costa Kitchens, we believe attention to detail is vital, and it is the reason we utilize nothing less than the highest quality, all wood construction, and materials in all of our world-class kitchen and bathroom cabinetry. We challenge our customers to redefine their expectations of quality craftsmanship and service - that is the Costa Kitchens challenge.” Contact Us Today For More Information Here at Costa Kitchens, we have the perfect contemporary kitchen cabinets for your newly renovated kitchen. Stop by and see our wide selection of designs to choose from. We have the best kitchen cabinets Fort Myers has to offer. Call us today, and one of our experts would love the opportunity to give your kitchen the face life it deserves. Why Customize Your Kitchen Cabinets? Kitchens are often the most lived-in space in a family home. Kitchens are where we gather each day to share our days with our family and friends over food, drink, and laughter. At the holidays, the kitchen is the place where cookies are baked, carols are sung, and lasting memories are made. Costa Kitchens understands that the right ambiance for your kitchen space is integral to a home. Kitchen cabinets Fort Myers designers characterize an entire kitchen space with their texture, color, and style. For an easy-to-clean surface, Costa Kitchens recommend high gloss kitchen cabinets to our clients looking for a new look and a great, resilient surface. Features of High Gloss Kitchen Cabinets High Gloss kitchen cabinets look great in modern, contemporary kitchens. Their contemporary style is impressive and chic and complements a variety of color palettes. Another feature to high-gloss cabinets is their reflective quality. The glossy surface reflects light, making the room appear bigger. We recommend high gloss kitchen cabinets for smaller kitchens in particular because of this quality. Let kitchen cabinets work for your Fort Myers home by welcoming in the sun and magnifying the natural light into your kitchen with these light reflecting cabinets. Costa Kitchens in Fort Myers offers high-gloss kitchen cabinets with a surface that is incredibly easy to clean. 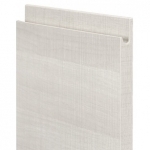 With a damp microfiber cloth you can quickly clean your cabinets with minimal effort and no scrubbing. The high-gloss finish offers a waterproof finish that is particularly handy for a high-use kitchen space. Whatever your style, Costa Kitchens has the kitchen cabinets Fort Myers residents know and love and can create a custom kitchen that will suit your needs. Our suite of high-gloss finishes offers a mood and feel for any style. Try our Rojo high-gloss finish with black and white cabinets for a retro feel. For a warm, rustic Italian kitchen try our Olivio finish which also boasts an environmentally friendly qualification. Cuzco Copper is a great addition to a kitchen with earthy tones and rich textures. Gris Metalic is an excellent finish for a modern apartment. Most of our high-gloss finishes come with an antibacterial treatment keeping your cabinets naturally germ-free. All of our high-gloss kitchen cabinets out of our Fort Myers location come with a high stain-resistance coating. This coating also resists scratches, particularly useful for homes with pets and small children. Create your Custom High-Gloss Kitchen Cabinet by Calling now: Whatever your dream kitchen cabinet look is for your Fort Meyers home is, Costa Kitchens can help you bring it to reality. As a family business, we at Costa Kitchens care about each of our customer’s needs and desires when it comes to their ideal living space. Call us at (844) 885 - 2245 or write us at info@costakitchens.com and tell us about your dream kitchen. We offer a personalized service to our clients seeking custom high gloss kitchen cabinets for the greater Fort Meyers area. 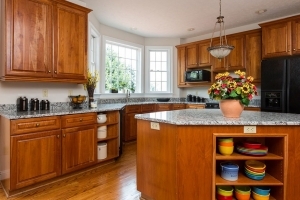 Elevate your kitchen with new kitchen cabinets Fort Myers locals enjoy in their homes. Say goodbye to afternoons spent scrubbing, cleaning and oiling your cabinet surfaces. Why High Gloss White Kitchen Cabinets Look Great in Modern Kitchens! High gloss white kitchen cabinets are starting to make waves in many kitchens. Costa Kitchens in Fort Myers is here to offer you an opportunity to get kitchen cabinets that could completely transform the look of your kitchen. We know it can be hard to find the perfect look for your kitchen, but we have the tools to make it happen and give you the best results. If you are interested in learning more about the kitchen cabinets Fort Myers residents trust, contact us at Costa Kitchens. High Gloss White Kitchen Cabinets Features Many people may be shocked to discover that such a simple design is making such a distinct impression on the current design trends. The reason is that high gloss cabinets are capable of making a kitchen look more modern and clean. They simplify the design and, when paired with a minimalist kitchen layout, can make a big impression on a kitchen design. High gloss white kitchen cabinets have made a name for themselves in recent years as a result of people’s interest in more contemporary looks for their kitchens—and even their bathrooms. The high gloss of the cabinets gives the cabinet door the illusion of reflective material while still providing a depth of color that increases your design versatility. They also have the added benefit of having a dramatic impact on the room without having to pay an incredible price. The other benefits of high gloss cabinets are that, in the event that you do not want white cabinets and you want something bolder, they are available in many more colors. Are You Looking for Quality Kitchen Cabinets Fort Myers Residents Prefer? Getting quality cabinets for your kitchen is important. You will not be able to replicate that level of craftsmanship with something cheap and replaceable. We specialize in providing you with a quality experience so that you can see the real difference in your kitchen. We know it takes a lot to decide on the company that provides your kitchen cabinets and we want to make sure that we earn your trust with the widest selection of cabinets and the best customer service in Fort Myers. Are you interested in making your kitchen dreams a reality? Do you have a kitchen cabinet project that you would like to get started on? We are here to make that happen for you. Whether you are remodeling your kitchen or building it from scratch, we are here for you every step of the way. If you would like to learn more about us, contact us at Costa Kitchens today. Contact Us Costa Kitchens is located in Fort Myers, Florida. We offer a wide selection of kitchen cabinets Fort Myers residents prefer, and we are here to be there for you as you create your new kitchen. If you are interested in learning more about our services and products, contact us at Costa Kitchens today or visit our website to see the cabinets that we offer. Have You Checked Out Our Classic Elite Series? We at Costa Kitchens are proud to offer the Classic Elite series of kitchen cabinets. Costa Kitchens has the best kitchen cabinets Fort Myers has to offer and we know what it takes to maintain that title. 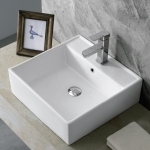 We work hard to ensure that all our products are up to the highest standards and that they not only look beautiful but maintain functionality and durability as well. To learn more, contact us today. Versatility in Design We offer many different series that showcase a variety of designs for whatever look you may be trying to craft for your home. Our Classic Elite series alone has a number of styles for you to select from and they all boast incredible quality. Each of our Classic Elite series has a full overlay door with a soft closing mechanism. Additionally, the drawer carries a five piece recessed panel drawer front with a solid birch drawer box held together with dovetail construction. The entire interior also carries this dovetail construction along with adjustable shelves that are edge-banded in wood veneer natural finish. This natural wood veneer is also found in the entire interior. We offer a number of different colors in addition to different styles. For instance, our Vista Blanc is a white that will brighten any kitchen space and its transitional style is modern while still being approachable. The intricate detailing and applied moldings will bring warmth and complexity to any kitchen. Meanwhile, the Onyx Cobblestone is better suited for those who want to enhance the kitchen’s design and radiate a sophisticated and transitional look. It is an adaptable option that adds originality and interest to any kitchen in such a way as to look equally stylish in modern or classic spaces. In the more traditional range of the spectrum is the Elite Cinnamon which offers elegant brown cabinets with a range of designs that reflect the light in your space. They are not only bold and striking, but they also feature beautifully mitered raised panel doors and matching recessed panel drawer fronts with richly hued wood and ornate styling, all of which embody an affluent and decorative kitchen that still maintains a comfortable, homey feeling. These are only a sampling of what the collection has offer. The full range will impress any home renovation shopper: Vista Blanc Onyx Cobblestone Onyx Frost Onyx Horizon Nexus Frost Nexus Slate Galaxy Cobblestone Galaxy Espresso Galaxy Frost Galaxy Horizon Galaxy Nickel Fusion Blanc Fusion Chestnut Wellington Cinnamon Wellington Ivory Elite Cinnamon Elite Merlot Tahoe Dove Tahoe White Are You Searching for the Best Kitchen Cabinets Fort Myers Has to Offer? We at Costa Kitchens take our kitchen cabinets seriously and it shows in the impressive range that we offer. We want to make sure that you are completely satisfied with your selection and we hold our products to the highest standards. To learn more about our range of kitchen cabinets Fort Myers residents trust, contact us today. Contact Us Costa Kitchens is located in Fort Myers and we offer a variety of kitchen cabinet options for those who are interested in upgrading their kitchen and elevating their overall look. Contact us to find out more.